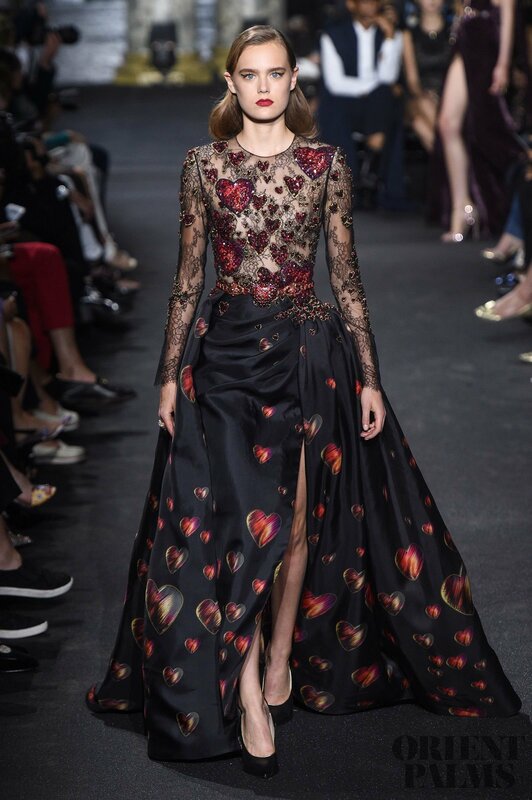 You might think that a heart is a too obvious icon to display on a Valentine’s evening, but you will be quite seduced by Christian Dior’s poetic ethereal dresses with discreet hearts or by the bold surrealistic pierced hearts by Schiaparelli. 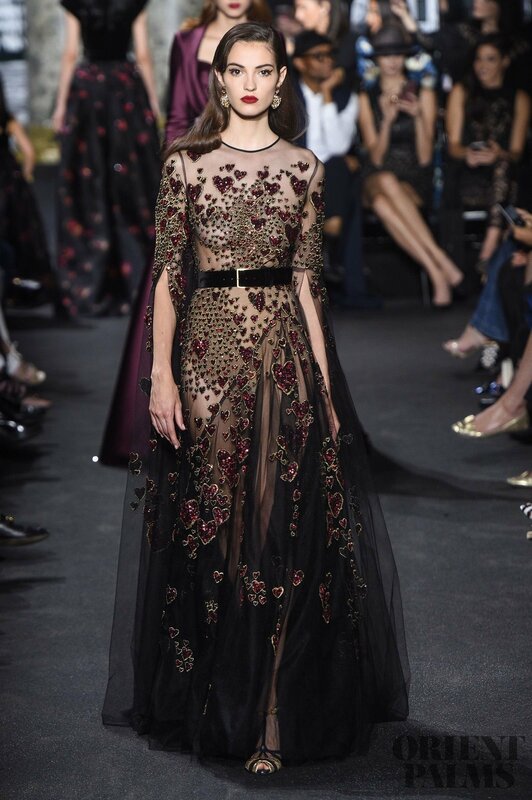 You will love Elie Saab’s Haute Couture long dresses that exude passion with a whirlwind of glittery hearts. 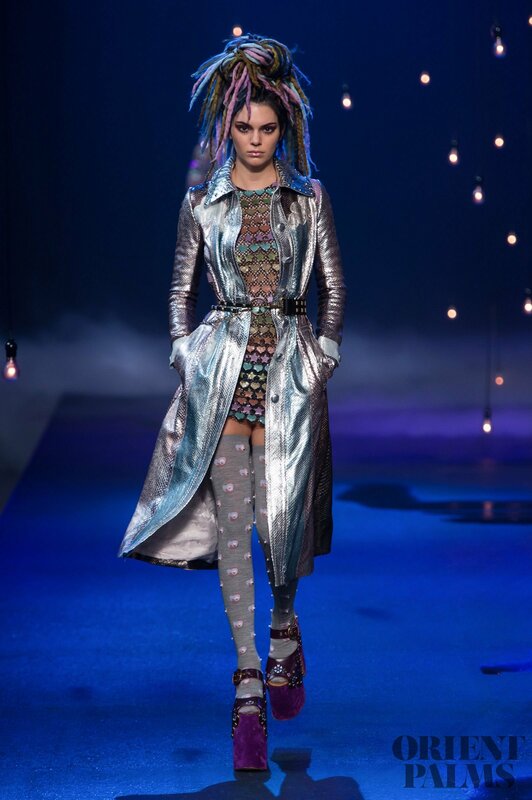 Gucci and Dolce & Gabbana’s baroque style full of icons is a sophisticated option. 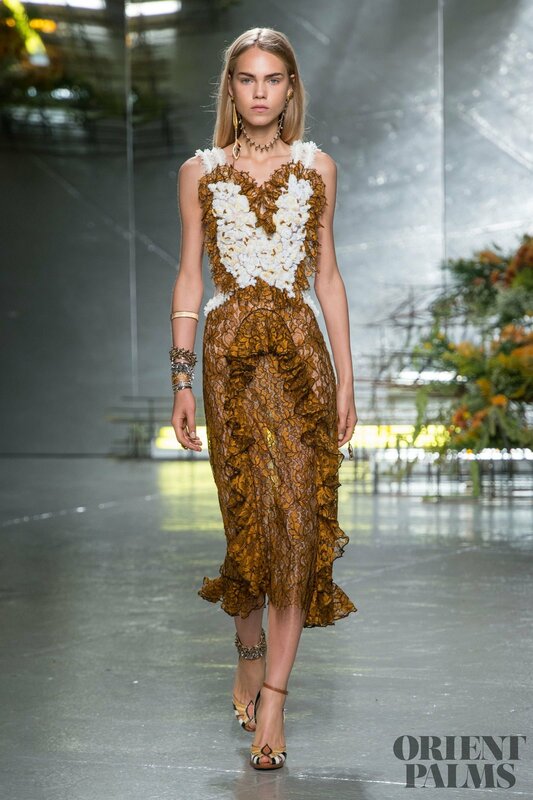 Rodarte created quite a unique design with hearts as corsets, having a style oscillating between the medieval and flamenco. 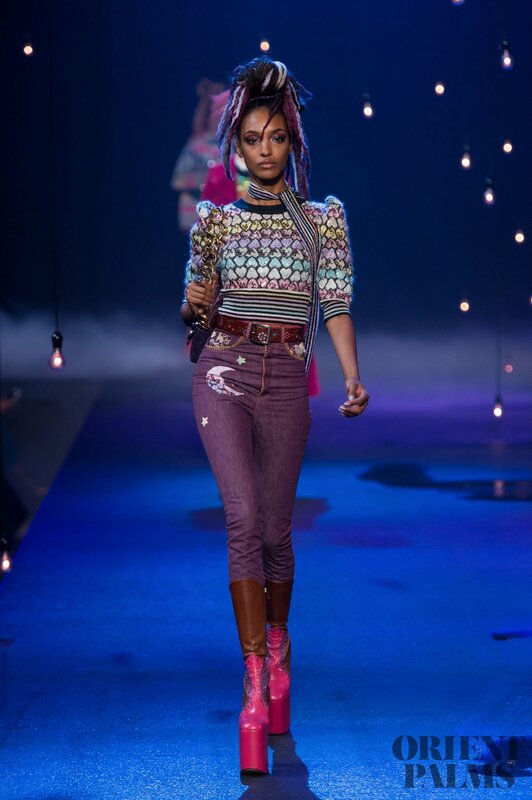 Marc Jacobs punkette street style is a good option if you’re going out to a concert. 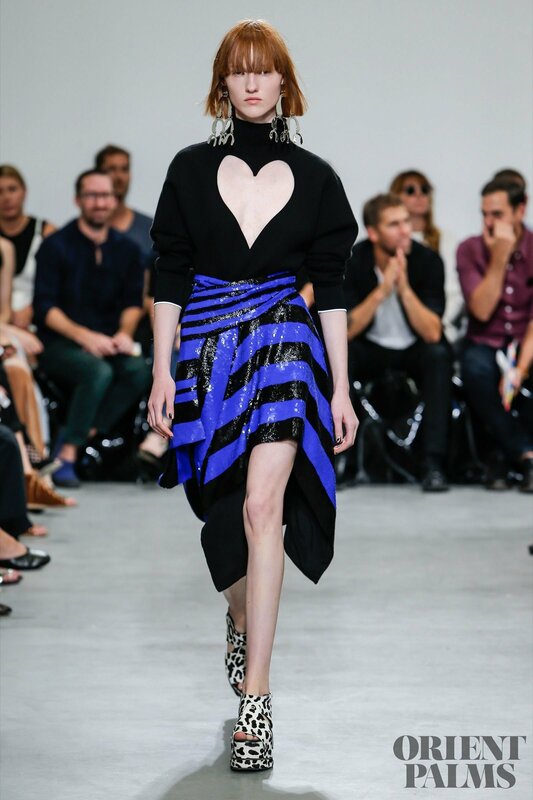 As for Proenza Schouler, it guarantees a dramatic effect with the unexpected skin-baring cut-out heart on a black turtle-neck. ‘Pierced heart’ jacket in ivory, black and red wool. ‘Heart’ romper in off-white wool. White silk organza camisole with black polka dots.